CPA Statement on the Occasion of Mine UnSafety Week:Responsible mining is a myth. Enough of large-scale mining. Benguet Corp. out of Itogon now! Indigenous human rights workers are not terrorists. Diplomats should not spread fake news and become accomplice to HR abuses! Hold Benguet Corp accountable for the lost lives and livelihood! Stop man-made disasters caused by large-scale mining! Stop “Mine-Made” tragedies! Hold Benguet Corporation accountable for the Itogon Tragedy! End the impunity of mining companies! Unite to Resist Tyranny! Assert our Right to Self-determination! Windel Bolinget, current chairperson of CPA, on the DOJ proscription list. First off, it is important to understand how the indigenous peoples of the Cordillera became national minorities. The well-known historian of the Cordillera, William Henry Scott, explains how this happened. Previous to Spanish colonization, there was no majority-minority dichotomy. What generally existed throughout the archipelago which Spain colonized and named after its sovereign, were small independent barangay communities which inter-related with each other. Spain was able to effectively colonize the greater part of the archipelago, in the process integrating the formerly independent communities into the newly formed Filipino nation. There were some communities, however, specifically in the Cordillera region in the north and the Moro and Lumad communities down south, which remained largely unsubjugated throughout the three hundred years of Spanish colonial rule. Three centuries is a very long time. Three centuries of a different experience with colonialism can spell a world of difference. It created the majority out of the colonized Filipinos who now shared more things in common as they suffered exploitation and oppression under Spain, and as they commonly experienced the integrating developments in the economic (the feudal encomienda system, later the semi-feudal hacienda system), political (centralized government), and cultural (conversion to Christianity) fields. It also made national minorities, or second class Filipinos, of those who were only in the periphery of the great economic, political and cultural changes which the majority collectively experienced, and who therefore retained much of their indigenous traditions and institutions throughout Spanish colonial rule. The Americans succeeded where the Spaniards did not. They were able to effectively colonize the whole Cordillera. They opened up the region, with its rich natural resources, to imperialist incursions. They subsumed the region’s peoples to the colonial and semi-feudal set-up, along the way drawing the national minorities into the wider national and class structure. However, the differentiation which was created by the fact that sections of the archipelago were not effectively colonized by Spain was never effectively bridged by the new colonizer, and up to the present-day Philippine republic. The national minorities continue to suffer national oppression and institutionalized discrimination which make them second class citizens and less equal to the rest of the Filipino people. At the same time, they also share the problems common to the rest of the Filipino people to which they also belong. The violation of indigenous peoples’ prior rights to ancestral lands, through landgrabbing, oppressive laws and extractive projects. Political misrepresentation and the non-recognition of indigenous socio-political institutions and processes. Indigenous peoples worldwide have invoked the right to self-determination as the solution to their age-old problems of national oppression. International human rights covenants recognize that all peoples have the right to self-determination, by virtue of which they have the right to freely determine their political status and their socio-economic, political and cultural development, at their own pace. Soon after Ferdinand Marcos declared martial law in 1972, he tried to build four huge dams along the Chico river to be funded by the World Bank. At the same time he awarded 200,000 hectares of forest land to the Cellophil Resources Corporation as a logging and paper pulp concession to his crony Herminio Disini. These were so-called priority “development projects” of the Marcos dictatorship throughout the dark years of martial law. 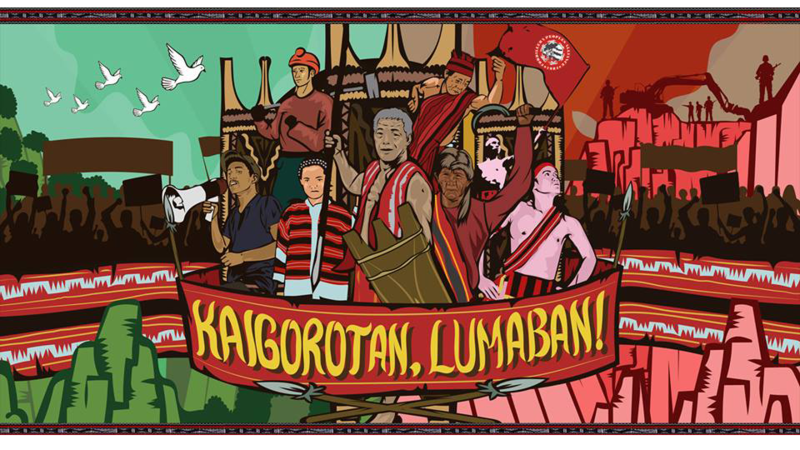 In defense of indigenous life, ancestral land and cultural integrity, the Kalinga and Bontok people waged sustained struggles against the construction of the Chico dams, followed soon after by Tinggian opposition to the Cellophil Resources Corporation. These indigenous peoples of Bontok, Kalinga and Abra, considered by many as among the most neglected and powerless sectors of Philippine society, were able to stop the development aggression against fearsome odds, by asserting their collective human rights to ancestral land and self-determination. In their steadfast and uncompromising defense of their life, land, livelihood and resources, they earned the respect and support not only of the other national minorities in the region, but also other progressive forces both here in the Philippines and abroad. When they finally resorted to armed resistance after peaceful methods to seek redress of grievances had proved futile in the face of unbridled militarization, many were convinced that this was but a logical step for these warrior societies in the defense of their indigenous peoples’ rights. During this period, many of the finest of the sons and daughters of the indigenous communities in the region joined the CPP-NPA. In 1981, the revolutionary movement articulated its program for the Cordillera People’s Democratic Front (CPDF). The 8-point CPDF program included the recognition of the right to ancestral land and regional autonomy as the form of self-determination for the Cordillera. The CPDF was projected as the umbrella organization of all revolutionary forces in the region allied with the National Democratic Front. In truth, it was the revolutionary movement which first articulated the demands of the indigenous peoples for ancestral land and self-determination. The Chico and Cellophil struggles were a great learning experience into the reality of indigenous peoples’ rights. During this period the concept of ancestral land and self-determination were vague abstractions for many. The Chico and Cellophil struggles educated them that this was concrete reality for indigenous peoples. Chico and Cellophil gave a deeper dimension to human rights, going beyond the narrow definition of individual civil and political rights as defined in the Universal Declaration of Human Rights, to the collective human rights of indigenous peoples. The Chico and Cellophil struggles were waged in uncompromising defense of ancestral land and the right to self –determination, or the right of the indigenous communities to freely determine their continued existence as distinct peoples, and the right to freely determine their political status, and their economic, political and socio-cultural development, at a pace which they themselves define. The unfolding Chico and Cellophil drama ignited dormant Igorot nationalism. Numerous activists and mass leaders espousing their rights as indigenous peoples emerged. The different Cordillera tribes were challenged into the recognition of the pressing need for a greater unity among themselves if they hoped to succeed in the defense of their collective human rights as indigenous peoples. Igorot students and intellectuals put their energies into the more serious discussion and study of what it meant to be indigenous peoples and national minorities. This increased introspection and self awareness among the indigenous peoples of the Cordillera paved the way towards a pan-Cordillera mass movement, as it marked the shift from spontaneous reaction to conscious and concerted unified action. As the different Igorot tribes and sectors were increasingly exposed to each other in mass meetings, inter-tribal activities and bodong conferences, there was the opportunity for dialogue and mutual sharing and learning. From here, the different groups realized that they shared a common history of national oppression; a common geography and territory – the Cordillera mountain range; a common persistence of their indigenous cultures, albeit in varying degrees; common problems and common enemies. The heroic Chico and Cellophil struggles also served to inspire and motivate many non-indigenous advocates, in the region, the nation, and abroad, which made it possible to generate broad national and international support to sustain the growing mass movement. There were broad solidarity and advocacy for the popular resistance in the region from academics, environmentalists, church groups, the mass media, NGOs and a wide array of solidarity organizations. The Free Legal Assistance Group of the late senators Jose Diokno and Lorenzo Tañada offered their legal assistance. Anthropologists and academics wrote numerous treatises. Progressive media practitioners provided good press coverage. Chico and Cellophil brought to the fore the fact that the present-day problems of tribal peoples and indigenous communities are much bigger and more complicated than any faced in earlier historical periods. More concretely, Chico and Cellophil showed the indigenous peoples of the Cordillera that their problems cannot be taken in isolation from the wider Philippine realities, and the incursions of imperialist globalization. The indigenist romanticized view of tribal society as a static autonomous entity which should be preserved in its pure form shattered, as Igorots united with as broad an alliance as possible for the defense of indigenous rights. Although the Chico resistance at the start was the spontaneous tribal response to outside threat, it soon positioned itself firmly within the mainstream of the national democratic struggle. It was not long before the popular resistance which was fast expanding in the villages in the Cordillera interior found its way into the urban areas. The popular resistance in the indigenous communities to Chico and Cellophil inspired the formation of a militant mass movement for the defense of ancestral domain and for self-determination in the Cordillera, within the framework of the wider national democratic open mass movement. A conjuncture of developments helped in the configuration of the militant national democratic open mass movement in the Cordillera. There was a wealth of information and data generated through social investigation and research throughout the Chico and Cellophil struggles. These were sifted through, systematized and analyzed with the active participation of Igorot political activists, intellectuals and advocates in theorizing. There was active discussion and debate on the national minority question, and a framework for analysis was developed, undoubtedly with a strong influence from the Left. The period from the mid-seventies to the mid-eighties was a decade of ferment and upheaval throughout the Cordillera region as the indigenous peoples here drew on the lessons from Chico and Cellophil and learned to assert their rights. More and more militant organizations sprouted, as more and more began to assert their rights even under conditions of intense militarization. On April 24, 1980, military troops of the Marcos dictatorship gunned down Macliing Dulag of the Butbut tribe, in Bugnay, Tinglayan, Kalinga. Macliing was one of the leaders of the opposition to the Chico dams. He was killed in the dead of night in an effort to intimidate the indigenous opposition. The people refused to be cowed. Instead, Macliing’s death was commemorated with a Macliing memorial yearly thereafter to remember the martyrs who had given up their lives in the struggle. It also became an occasion where Cordillera advocates would come to express their solidarity with the Cordillera peoples’ struggles. In 1985, April 24 was commemorated as Cordillera Day for the first time. Cordillera Day has since been commemorated in all of the provinces all over the region, hosted by local communities, people’s organizations and local government units. The protest actions in various parts of the Cordillera interior soon also found their way to the town centers and Baguio City. One issue which drew widespread protest from conscientized Igorots was the Ministry of Tourism-sponsored Grand Cañao from 1980-83, which displayed Igorots dancing and singing through the streets to attract the tourist dollar. Opposition to the Grand Cañao became a rallying point for Igorot students and professionals who opposed the commercialization of indigenous culture, and who protested this imposed celebration in the face of the problems of militarization, ethnocide and development aggression confronting the indigenous peoples. Cultural presentations with new revolutionary content were staged, utilizing the traditional sallidummay, uggayam, ullalim. Traditional forms of song and dance infused with new revolutionary content from the areas of resistance in the Cordillera interior were popularized. Other cultural forms depicting the people’s problems and resistance were also creatively developed by progressive cultural workers. The people learned the value of concerted and unified mass action. The decade of ferment led to increased coordination among the growing number of militant organizations, and more concerted efforts towards defining the substance and features of a program for self-determination of the indigenous peoples in the Cordillera. On June 1-3, 1984 more than three hundred representatives from all over the Cordillera region gathered in a People’s Congress in Bontoc and organized the Cordillera People’s Alliance for the Defense of the Ancestral Domain and for Self-Determination (CPA). Among our founding documents was the seminal paper Towards Defining the Substance and Features of Self-Determination in the Cordillera. In this document, we proposed that regional autonomy would be the form of self-determination for the Cordillera. From 1984-86, the CPA distinguished itself by being at the forefront of the struggle for indigenous people’s rights. We launched many campaigns such as those for Ancestral Land Rights, Regional Autonomy, anti-militarization, Kaigorotan unity, and others. One of the early campaigns of the CPA was to bring together the Cordillera provinces as one region. Many people may not know it but the Cordillera provinces did not always stand together as one region. One of the early declarations of the dictator Marcos was to divide the Philippines into regions. Without any consideration for the commonalities of history, geography, national minority status and the like, Marcos divided the Cordillera provinces, including Mountain Province and Benguet along with Abra in Region 1, and Kalinga-Apayao and Ifugao in Region 2. CPA protested this act as a form of political misrepresentation and national oppression, which had the ulterior motive to stop the unification of the indigenous peoples of the Cordillera, especially as the resistance against Chico and Cellophil was raging. In 1985, the Cordillera representatives to the Interim Batasang Pambansa were trying to pass a bill to regionalize the Cordillera provinces. The CPA allied with the sponsors of the bill for the tactical demand of regionalization but raised the slogan regionalization and beyond, to be able to conduct a regional campaign on indigenous peoples’ rights and regional autonomy as the form of self-determination for the region. CPA’s main thrust was towards the conscientization, organizing and empowerment of the Cordillera indigenous peoples in the struggle against national oppression and for self-determination. It played a most significant role in popularizing the demand for the rocognition of indigenous people’s rights, not only in the region but even nationally. 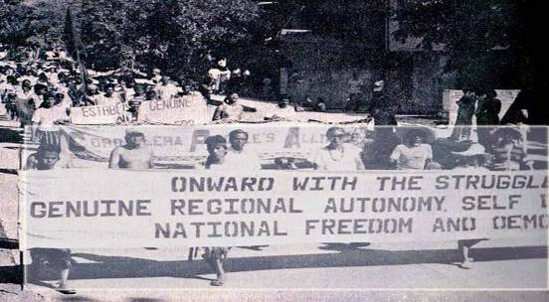 To set the record straight against historical revisionism, it was the CPA that popularized the concepts and slogans of ancestral land, national oppression, self-determination and regional autonomy, such that these became integrated into the national struggle against the Marcos dictatorship, as it was the CPA which was at the forefront of this struggle in the region. In February 1986, the dictator Marcos was ousted. The Filipino people, including those in the region rejoiced. Expectations were high that with a new government installed into power in the aftermath of a popular uprising, indigenous people’s rights would finally be recognized. Cordillera Day that year was a big celebration held in Bontoc, Mountain Province. Shortly after Cordillera Day 1986, the CPA had a meeting with President Corazon Aquino in Malacañang. The agenda of CPA included 1) the cancellation of Chico and Cellophil; 2) an end to militarization in the region; 3) the return of the lands expropriated from the Taloy folk in Tuba for the Marcos Park; 4) democratic participation in the choice of OICs for the local government units in the region; and 5) the recognition of ancestral land rights and self-determination for the indigenous peoples. The new president said that many of the demands had to be addressed by legislation, and that a new Constitution still had to be drafted. The CPA then asked for the appointment of a CPA representative to the Constitutional Commission to help draft the provisions for the recognition of indigenous people’s rights in the Constitution. The president agreed to this in front of the whole CPA council. When the time to do so came, however, she reneged on her promise, on the basis that CPA was leftist. Thus began the red-baiting and attacks on the CPA under the Corazon Aquino administration, especially when it went into an alliance with the Cordillera People’s Liberation Army. The State went into a systematic effort to isolate and marginalize the CPA, notwithstanding that we were at the forefront of the anti-dictatorship struggle in the Cordillera, and were the ones who had popularized the issues of ancestral land and regional autonomy as our form of self-determination. But, riding on the crest of the anti-dictatorship struggle, it was the CPA that mobilized a region-wide lobby of the Constitutional Commission for the inclusion of the provisions on ancestral land (Article VII, Section 5) and regional autonomy (Article X, Section 15) in the new Constitution, which was ratified in 1987. Around this time, the Cordillera People’s Liberation Army (CPLA) of Conrado Balweg had split from the Communist Party of the Philippines – New People’s Army in the region. The CPLA was soon coddled by the Aquino government after the much publicized peace talks and sipat held in Mt. Data in September 1986. On July 15, 1987, Aquino signed Executive Order 220 creating the Cordillera Executive Board (CEB) and the Cordillera Regional Assembly (CRA) as transitional bodies to work towards the creation of the Cordillera Autonomous Region after the ratification of an Organic Act as defined in the Constitution. July 15 is presently celebrated as a government holiday called Cordillera Day in the Cordillera Administrative Region. This is in contra-position to the people’s Cordillera Day, which has been commemorated since 1985 to commemorate the martyrdom of Macliing Dulag, and other Cordillera heroes. EO 220 gave Conrado Balweg and the CPLA privileged positions as it institutionalized his Cordillera Bodong Administration (which had split from the Cordillera Bodong Association allied with the CPA) in the CEB-CRA. Although EO 220 stopped short of official recognition of the CPLA as the regional security force, which it had asked for, the Aquino government practically gave Conrado Balweg and the CPLA license to lord it over the new Cordillera administrative region. Many opportunists soon toadied up to them as they had the power to dispense positions, projects, and patronage in the new structures. The CPLA even had license to murder and commit criminal acts. In 1987, they killed Daniel Ngayan in cold blood at Cagaluan Gate in Lubuagan. Ama Daniel was a tribal leader from Tanglag, leader of the Cordillera Bodong Association and vice chairperson of the CPA when he was killed. Soon after, they tortured and murdered Romy Gardo of Tubo, Abra, CPA organizer in that province. Through the years, many others became martyrs through the bloodied hands of the CPLA. Although Conrado Balweg had the temerity to publicly acknowledge that the CPLA had killed Ngayaan and Gardo, the Aquino government never took him to task for it. Neither was the CPLA punished for their other crimes such as murder, robbery, grave threat and intimidation. The families and friends of the many victims of the CPLA did not receive any justice from the Philippine government which had allowed them to commit these crimes. In December 1999, the CPP-NPA in the region exacted what it called “revolutionary justice,” and killed Conrado Balweg while on a visit to his hometown. The CPLA soon broke up into factions, with some being integrated into the Armed Forces of the Philippines, and others flaunting themselves as armed goons involved in criminal activities. The CEB-CRA-CBAd lasted from the time it was created in 1987 by EO 220 to 2000, when Congress practically abolished it by refusing to continue allocating funds for its operations. It was composed of a hodgepodge of political appointees which included Conrado Balweg and his CBAd, traditional tribal leaders who probably did not even know what regional autonomy was all about, johnnies-come-lately to the autonomy bandwagon, and the like. In the 12 years of its existence, it accomplished nothing of significance. It was just a superfluous structure set up to accomodate political appointees, with all of the graft and corruption, inefficiency and infighting associated with such government bureaucracies. It could not even effectively conduct the educational campaign on regional autonomy that it was mandated to do. The process towards setting up the Cordillera Autonomous Region defined in the Constitution is for Congress, with the help of a Cordillera Regional Consultative Commission, to draft an Organic Act to establish the autonomous region. The Organic Act is to be submitted to the people for ratification in a plebiscite called for the purpose. In 1990, RA 6766, the Organic Act to create the Cordillera Autonomous Region was submitted to the people in a plebiscite and was resoundingly rejected by the voting population except for Ifugao. Some well-meaning professionals who were involved in the original draft complained that Congress had considerable watered down their proposals, and saw the futility of their efforts. Again in 1997, a new Organic Act, RA 8438 was the subject of a plebiscite, and again it was resoundingly rejected, except for Apayao. A third attempt was made with HB 4349 which was submitted to the last 16th Congress but was not passed into law. Reports are that this draft is to be re-submitted to the 15th Congress. Notwithstanding that it was the CPA that had lobbied for the inclusion of the provision on Cordillera autonomy in the Constitution, the militant mass movement campaigned for the rejection of these Organic Acts when they were brought before the electorate in a plebiscite. The CPA’s rejection was because this was not the regional autonomy as a form of self-determination for the Cordillera that we had envisioned as early as in our founding Congress. Our position was that the Organic Acts passed by Congress was bogus autonomy. We wanted to differentiate genuine regional autonomy as a recognition of the right to self-determination, not only the decentralization of administrative functions similar to that provided by the Local Government Code. We wanted to differentiate between the form, i.e. setting up a regional bureaucracy, from the substance, i.e. full recognition of indigenous peoples’ rights and the institutional rectification of national oppression and discrimination. Furthermore, we became disillusioned with government when the Corazon Aquino regime, which the mass movement had helped install through the anti-dictatorship struggle, soon excluded the CPA because of our Left orientation. The State instigated the collusion of central government, the CPLA and traditional leaders to try and marginalize the mass movement and coopt its earlier gains. We were witness to the infighting and corruption of traditional leaders and opportunists who had jockeyed themselves into position in the superfluous bureaucracy of the CRA-CEB-CBAd created by E.O. 220. It is ironic that what has been internationally projected as the return of democracy to the Philippines with the assumption of Corazon Aquino to the Philippine presidency was a most difficult time for the CPA. It was targetted with a systematic red scare and terrorist attacks from the Cordillera People’s Liberation Army (CPLA) in collusion with Philippine security forces and Malacañang. It is ironic that while the CPA was able to withstand the fascist repression of the Marcos dictatorship, it was subjected to much harsher tyranny under the so-called “democratic space” of the Corazon Aquino. Truth to tell, these were difficult years for the militant mass movement in the region. There was disillusionment with the new government that had tried to coopt and corrupt the popular movement for regional autonomy, while excluding its original proponents. There was the sense of betrayal – tayo ang nagtanim, nag-ani, nagbayo at nagluto, tapos iba ang kumain. There was the real threat to life and limb from the CPLA, aside from the great confusion caused by the split. In any case, the government chose to coddle the CPLA, and excluded the CPA. In righteous defense, the CPA chose not to work with government and the CPLA. It instead opted to critique the initiatives of government and the CPLA, CEB-CRA-CBAd, and later the two Organic Acts passed by Congress, while continuing with our campaign for genuine regional autonomy as opposed to bogus autonomy. It has been 32 years since the founding of the CPA. The Alliance has regained lost ground since those difficult years. The national democratic mass movement in the Cordillera persists at conducting conscientization, building people’s organizations, launching campaigns in defense of land, life and cultural integrity, doing alternative self-determined development, and empowering the grassroots as we work towards our vision of genuine regional autonomy as a form of self-determination within a truly democratic and sovereign Philippine republic. On the other hand, like a flash in the pan, the CRA-CEB-CBAd and the CPLA have ceased to exist. The militant mass movement has learned valuable lessons from the failed government experiment with regional autonomy in the ARMM and E.O. 220. Genuine regional autonomy cannot merely be structural nor mechanical. For it to be substantial, it has to be predicated on a full and substantial recognition of indigenous people’s rights. It cannot be rushed, as it can succeed only when the people are fully knowledgeable and prepared for it. It cannot be merely granted from above, it has to be asserted by a conscientized and empowered people. Furthermore, government cannot exclude the Left, whether this is the underground CPP-NPA-NDF or the open democratic Left, especially as it was the Left which first articulated the call for regional autonomy as the form of self determination for the Cordillera. It is time to do away with our anti-communist blinders and red-baiting, and seriously study what the Left has to say. It is in this light that we welcome the resumption of the Peace Talks between the Philippine government and the CPP-NPA-NDFP and the successful conclusion of the first round of formal peace talks just last week. We fully support the peace process and have submitted the indigenous people’s agenda for consideration as the two panels proceed to the negotiations on socio-economic reform. The agenda includes the recognition of ancestral land rights and regional autonomy as a recognition of the right to self-determination. With regard to the Federal program of the new president Rodrigo Duterte, we are concerned not so much about the form as the substance. We believe that genuine regional autonomy can be contextualized either within a federal arrangement or a unitary one. What is important is that there should be structural changes so that the pyramid structure of Philippine society where only the few richest families profit from the toils of the majority is reversed. A major stumbling block to the regional autonomy as self determination struggle is that the ruling elites in Philippine society are against it if the natural resources in the region are to be used primarily for the indigenous peoples’ benefit. We believe that the Cordillera mountain range is the ancestral domain of the indigenous people in the region. We believe that the Cordillera region is indivisible because of our common history of national oppression, our common geography and adaptation to the mountainous terrain, the common persistence of indigenous cultures up to the present time, our common problems and enemies, and a common vision of our collective rights to ancestral land, identity and self-determination. Among our major critiques of the earlier house bill, in fact, is the threatening tone that only those who will vote yes in the referendum will compose the autonomous region, even if these are only two provinces, and that those who will vote no will revert back to Regions 1 and 2. The Cordillera should stand alone as one autonomous region or as one federal state, and not be subsumed in a Northern Luzon state. Activists are idealists in that we envision a new society not only for the Cordillera Autonomous Region or Federal State of the future, but also contextualized within a truly sovereign and democratic Philippine society. We Igorot activists are idealists in that we would want to bring the best of indigenous society to the genuine transformation of Philippine society. The new president has announced that change is coming. The change that we want is the full recognition of indigenous peoples rights to their ancestral land and to self-determination, and the institutional rectification of national oppression and discrimination. And to address the roots of the armed conflict towards a just and lasting peace. The onslaught of globalization and the worsening economic crisis has pushed Cordillera indigenous peoples towards greater oppression and marginalization, and violations to our individual and collective rights keep mounting. Through the years, we did not succumb to these. Instead, we fought collectively as our ancestors did, to uphold our rights especially under the state terror unleashed by the Arroyo regime. Under this regime, our struggle for self determination was confronted with state terrorism, political persecution and killings. But we will not waver in this fight. We will remain steadfast and resolute as we continue to pursue our right to self determination, our right to own and control our lands, territories and resources, our right to free, prior, and informed consent among others. We only have one Cordillera homeland to inherit and defend. Thus, the legacy of those who have gone ahead of us should not be in vain, as it is upon us to continue this task of ensuring that our right to self determination is recognized and upheld. [CPA] National Minority Week 2008: Intensify our Struggle for Self Determination! Fight Imperialist PLunder and State Terrorism! Cordillera Peoples Alliance Critique of the SONA 2008: A Cover Up! [CPA] On the EDSA II Anniversary: Live Out People Power! "Philippine President Gloria Macapagal Arroyo Must Go"
[TTU-CPA] Rage against Corruption & Deceit! Advance the New People Power! The Cordillera Peoples Alliance and the Tongtongan ti Umili is one with the call of Senator Trillanes and Brig. Gen. Lim for Pres. Arroyo to STEP DOWN! Condemn the servility of the Arroyo government to the US superpower! Fight for genuine independence and sovereignty! [TTU] We Cry Out for Economic Relief and GMA's Ouster! TTU-CPA: People Power Against Charter Change Now! [CPA and APIT TAKO] Stop Political Persecution! Free Randall Echanis! [CHRA] Task Force Usig Delisting of Karapatan EJK List is Inexcusable! Statement from Dr. Chandu Claver on the Morong 43: Will There Be Change? CHESTCORE Statement: Let Justice Prevail! Free the Health 43 Now! CPA Statement on the Illegal Arrest of Health Workers in Rizal Province: Immediately Free the Victims! Task Force Usig Delisting of Karapatan EJK List is Inexcusable! Stop Political Persecution! Free Randall Echanis! 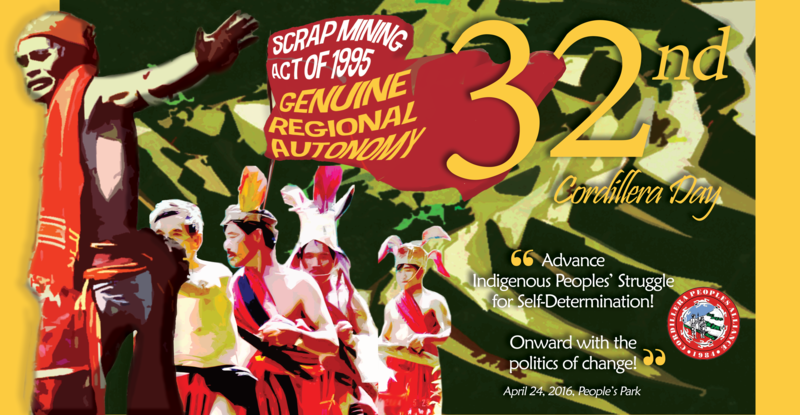 April 24 remains both a historic and significant date for the Cordillera peoples. It was in the evening of this day in 1980 that soldiers belonging to the Philippine Army's 4th Infantry Division, under Lt. Leodegario Adalem, fired at two houses in the village of Bugnay, Tinglayan, Kalinga. The attack meant to kill two prominent leaders of the Kalinga and Bontok peoples opposed to the World Bank-funded Chico River Basin Hydroelectric Dam Project of the late dictator Ferdinand Marcos. These were Ama Macliing Dulag and Pedro Dungoc. Macliing Dulag, a respected pangat (tribal chieftain) of the Butbut tribe, died from multiple gunshots while Pedro Dungoc survived. Pedro Dungoc later joined the New Peoples Army (NPA) and died a red fighter. This cowardly act of military terrorism did not cow the Bontoc and Kalinga peoples into submission into the construction of the dams. Instead, the Macliing assassination strengthened the determination of the Kalinga and Bontok tribes to further unite for the defense of their collective rights over their land and resources and against a common enemy - the Marcos dictatorship and the world-bank funded Chico dams. State fascism since the 1970s was a major factor in firming up the commitment of the Chico communities in the anti-Chico dam struggle. 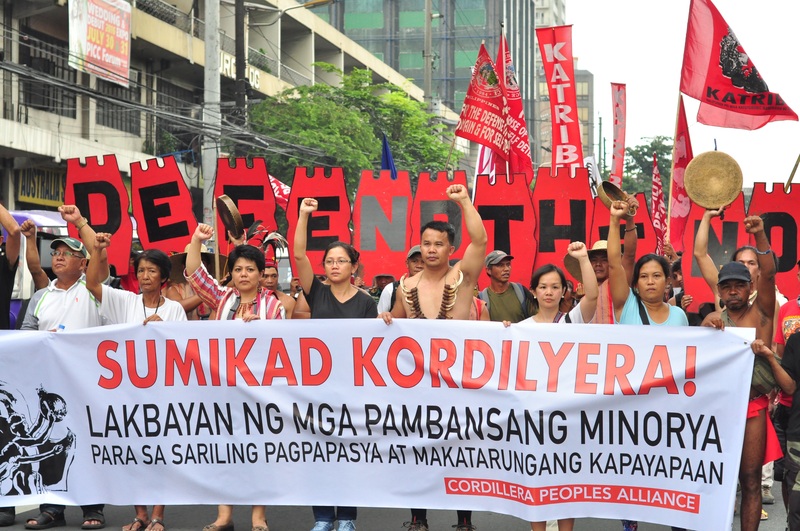 This later broadened into a mass movement of the Cordillera peoples and advocates into the struggle for the defense of ancestral land and for genuine regional autonomy. From 1981 to 1984, the commemoration of the death of Macliing Dulag was called Macliing Memorial. 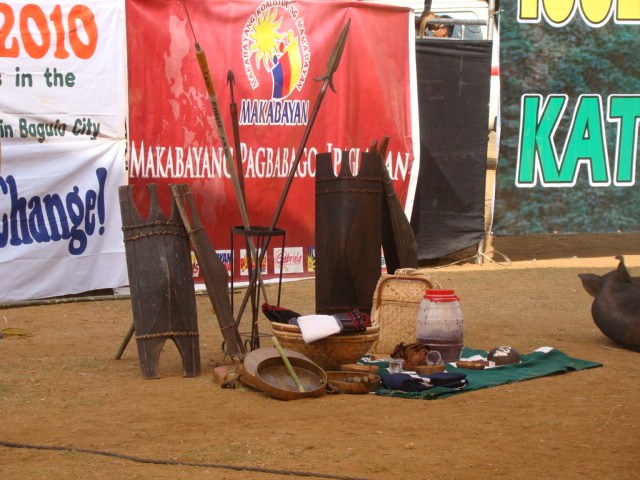 But with the broadening of the Cordillera mass movement encompassing all the provinces of the Cordillera, the commemoration started as Cordillera Day in 1985 to symbolize the widening unity and solidarity among the different indigenous peoples of the Cordillera, and with advocate and support groups at the regional, national and international levels. The first celebration of Cordillera Day was held in Sadanga, Mountain Province. It was also in June 1984 that the Cordillera Peoples Alliance (CPA) was founded and took the lead in the celebration of Cordillera Day. Since then, Cordillera Day was held all over the Cordillera region with particular focus per celebration, in consideration to burning regional issues, and major national and international developments as well as the urgent issues of host community. Past celebrations gathered as many as 3,000 to 4,500 individuals. It has become the biggest annual political solidarity gathering of indigenous peoples in the Cordillera with friends and advocates. 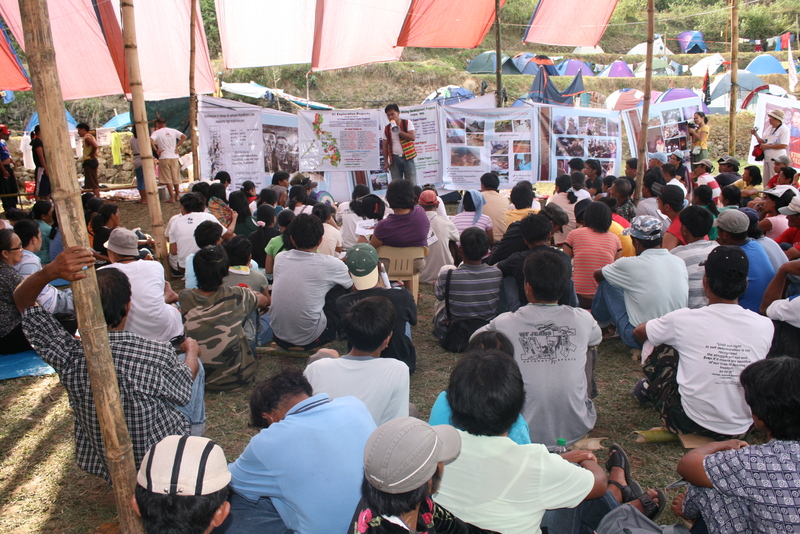 The general programme for the two- day celebration includes workshops on major issues affecting indigenous peoples, presentations on the regional and national situation and challenges; on experiences and lessons from struggles in defense of indigenous peoples rights and human rights and various cultural presentations presenting the issues of communities and sectors; including the tribute to Cordillera martyrs. The two-day celebration includes a lot of community dancing, playing of gongs and community chanting. The festive atmosphere of each celebration remains political but colorful and inspiring. As a political solidarity event, several host communities were intimidated and harassed by the military and some government officials. But these circumstances did not discourage the communities to prepare and host Cordillera Day. The celebration of Cordillera Day has also expanded overseas which is a clear manifestation of the growing international solidarity for the Cordillera indigenous people's movement. For several years already, Cordillera Day has been celebrated in Hongkong, Belgium, Macau, Taiwan, and for the first time last year in Tokyo, Japan. These are being organized by Cordillera migrants and workers together with international solidarity partners and advocates of Cordillera struggles and indigenous peoples rights. More than just a gathering, Cordillera Day is a political statement on present realities by the militant Cordillera peoples' movement. It carries with it the historical advances of the mass movement for self determination and national democracy. It is the affirmation of principles and struggles for defense of the ancestral domain and for self determination and pursues what the Cordillera martyrs and heroes have fought for. The solidarity and camaraderie forged during celebrations serve to enhance the particularity of the Cordillera peoples struggle and to inspire others. At the same time, it strengthens the unity of the Cordillera peoples with other indigenous peoples and sectors across the region, and at the national and international levels. The struggle for the peoples' aspirations for social justice, genuine development and peace, freedom and democracy are still far from over. Macliing Dulag and all our other martyrs did not die in vain. Cordillera Day and our continuing campaigns and struggles shall be raised to a higher ground until our aspirations become a reality. Cordillera Day 2014 (30th Cordillera Day) Central Statement: Resist Imperialist Plunder of our Lands and Resources! Assert our Right to Self-Determination! Cordillera Day 2013 Central Statement: Assert our right to self determination and the politics of change! 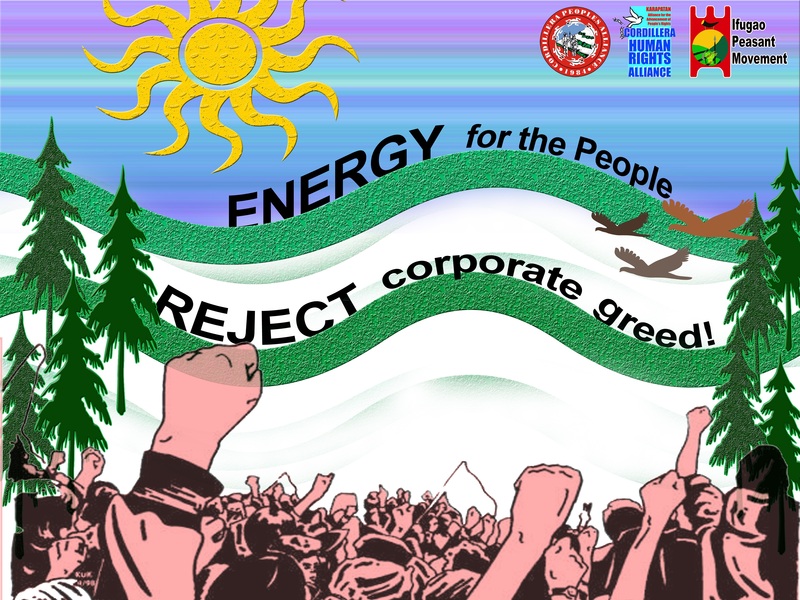 Cordillera Day 2012 Central Statement: Fight for Our Land, Life and Rights! 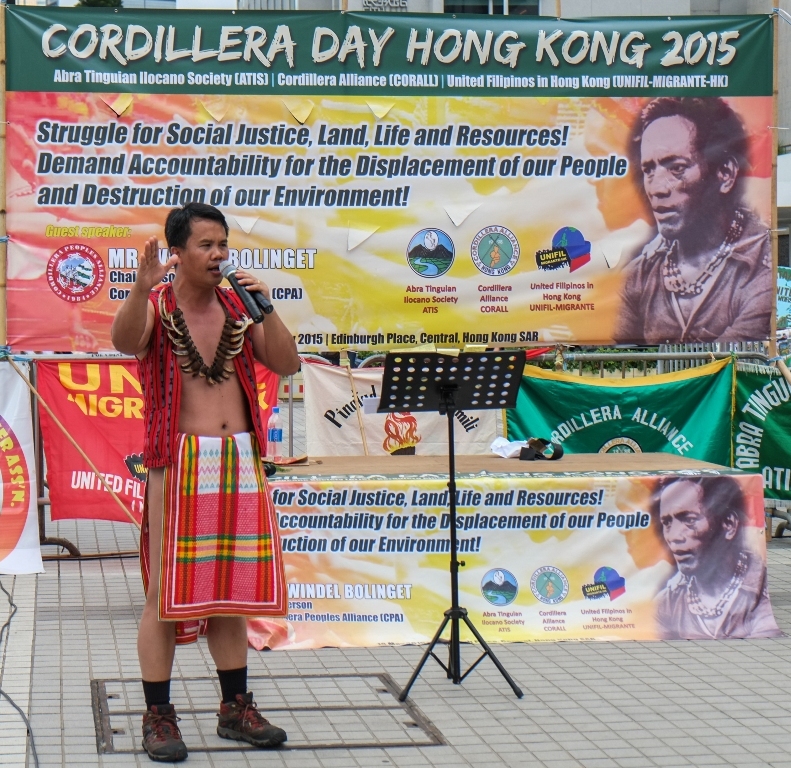 Cordillera Day 2011 Central Statement: Live out the glorious history of our struggle! Fight for land, life and honor! Cordillera Day 2010 Central Statement: Resolutely Advance the Politics of Change! 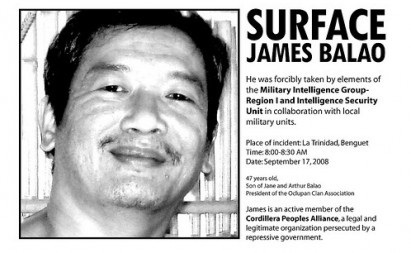 Action Alert: Surface CPA member James Balao! CHRA Statement: Rage in Our Search for James and Our Search for Justice! Surface CPA member James Balao! [CPA] Surface James Balao now! [CHRA] Surface James Balao! Stop enforced disappearance! [CPA] We Challenge the AFP and PNP to Surface James Moy Balao Now! [CHRA] DAY 30: MABTAD KAIGOROTAN! Statement from the Canada Philippines Solidarity fro Human Rights and Migrante B.C. Cordillera Human Rights Alliance: Justice for William Bugatti! Fight State Terrorism in Orissa! Free the Anti-Displacement Activists! Assert Our Human Rights, Assert Our Human Dignity! Defy the undeclared Martial Law! CPA Statement: Stop Terrorizing Candidates of the People! Condemn the Death Threat Against Arthur Allad-iw! [CHRA] We Condemn the State's Retaliatory Acts and Harassment to our Members! Urgent Appeal for Action: STOP THE ALL-OUT WAR AGAINST THE PEOPLE! ; STOP THE MILITARIZATION OF INDIGENOUS COMMUNITIES! CHRA STATEMENT: Stop the Persecution of Legal and Progressive People's Organizations! Scrap Oplan Bayanihan! Stop the US-Duterte Reign of Terror! CPA Statement: FREE SHERWIN DE VERA NOW! Urgent Appeal: Stop the attacks against Indigenous Peoples and human rights defenders. Drop the trumped-up cases filed against Igorot activist Sarah Abellon-Alikes! CHRA Statement: Stop Political Persecution! Resist Oplan Bantay Laya! CHRA and SELDA Statement on the Occasion of Martial Law Anniversary: Resist and Defy State Terrorism! Indemnify the Victims! Never Again to Martial Law! CPA Press Release on the Occasion of Mines UNsafety Week 2017: What ‘safe and responsible’ mining? Stop the destruction and plunder of our ancestral lands and resources by large-scale mining. Scrap the Mining Act of 1995! 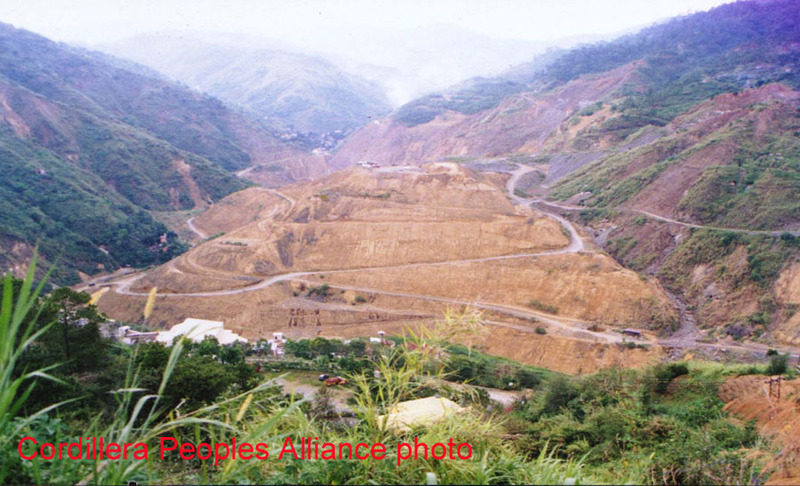 End Mining Plunder in Itogon, Benguet! Didigra iti Mankayana, Saan Lang nga Gapu iti Faultline! CPA: Decommision the San Roque Dam Now and Rescind the Power Purchase Agreement ECOMMISSION THE SAN ROQUE DAM NOW AND RESCIND THE POWER PURCHASE AGREEMENT! Cordillera elders have played a remarkable role in the Cordillera people's struggle to defend ancestral land and resources, as resolutely shown in the successful oppositions to the Chico dams and Cellophil struggles in the 1970s. They continue to figure in the peacekeeping and conflict resolution among tribes. Their role as elders has not been limited to the issues concerning the communities such that they have formed inter-tribal, inter-municipal, and inter-provincial organizations, responding to burning issues affecting the region and the country today. On December 6-7, 2006, the Cordillera Peoples Alliance sponsored a region-wide Cordillera Elders Congress in Baguio City which led to the establishment of the Cordillera Elders Alliance (CEA). CEA is composed of elders organizations and individuals throughout the region, which include the Binodngan Pongors Organization (BPO) in Kalinga and Bontoc provinces, the Movement for the Advancement of Inter-Tribal Unity and Development (MAITUD) in Mountain Province, the Abra Binodngan Elders Assembly (ABEA) in the province of Abra, the Metro-Baguio Tribal Elders and Leaders Assembly (MBTELA) in Baguio City, and the Am-a ya In-a ay Mannakem id AMPIS (AM-IN) in the provinces of Abra, Mountain Province and Ilocos Sur. 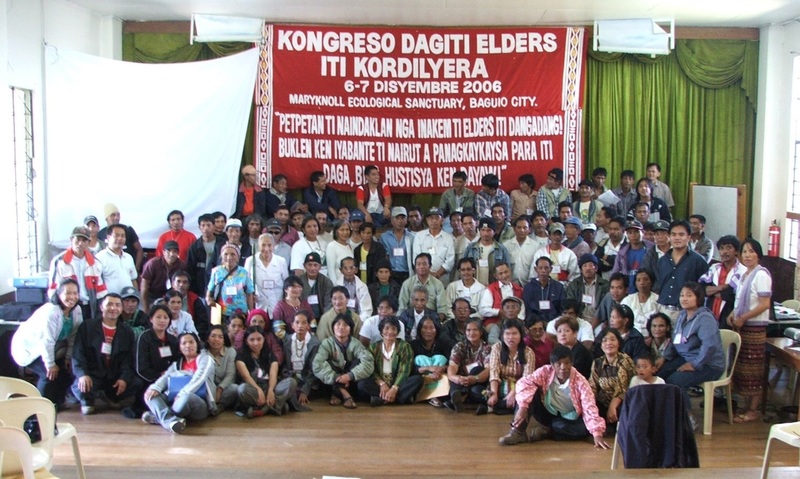 Prior to the formation of the Cordillera Elders Alliance, elders in the Cordillera have already been organized through the efforts of the Cordillera Peoples Alliance's Regional Elders Desk which coordinated and strengthened support to the fast-growing involvement of progressive tribal elders and leaders in the region, in the framework of the campaign against national oppression and the campaign for the defense of land, life and resources, and overall struggle of the Filipino people. The Elders Desk ensured the implementation and coordination of various elders' activities in the region. The Cordillera Elders Alliance mediates and facilitates in the resolution of conflicts between tribes. Conflicts can only be resolved with the cooperation and efforts to keep peace among the concerned tribes themselves, such that progressive tribal leaders and elders affirm the unity and bond ofbinodngan communities (indigenous communities practicing the bodong or peace pact); that conflict resolution should be carried out in peaceful and democratic means; that armed groups, such as the Armed Forces of the Philippines (AFP), Philippine National Police (PNP), and even the New People's Army (NPA) be excluded in the provision or pagta of the bodong; and that the bodong be developed into one that is multi-lateral, as the bodong traditionally takes place between two tribes. The bodong should also be developed for it to be responsive for the broader unity and welfare of the Filipino people. Tribes must be united against a common enemy, that is, the entities that exploit indigenous peoples' lands and resources. The Northern Luzon Cordillera is the largest mass of mountains in the Philippine archipelago. The Cordillera Administrative Region, comprised of the provinces of Abra, Apayao, Benguet, Ifugao, Kalinga, and the Mountain Province, have an aggregate land area of more than 1.8 million hectares. Terrain, however, limits the availability of arable land in the area. The Cordillera is the most rugged group of mountain ranges in the Philippines. Elevations here vary from 10 meters at the bottom of river valleys to 2,900 meters on the mountaintops. The mountain ranges are heavily ridged. Their river valleys are narrow. Only along the foothills is there any flatland of significant extent. Nearly 61% of the region is sloped in excess of 50%. This makes the soil highly erosive and the topsoil layer fairly thin. Yet agriculture has been practiced here since before the 12th century, when people indigenous to the area carved their first terraces out of the steep mountainsides of western Ifugao and planted them to rice.